The Reburial of graves from the Congregational Chapel in 1961 - a transcription of the document produced by the Vicar of Hadnall in Jan 1962. 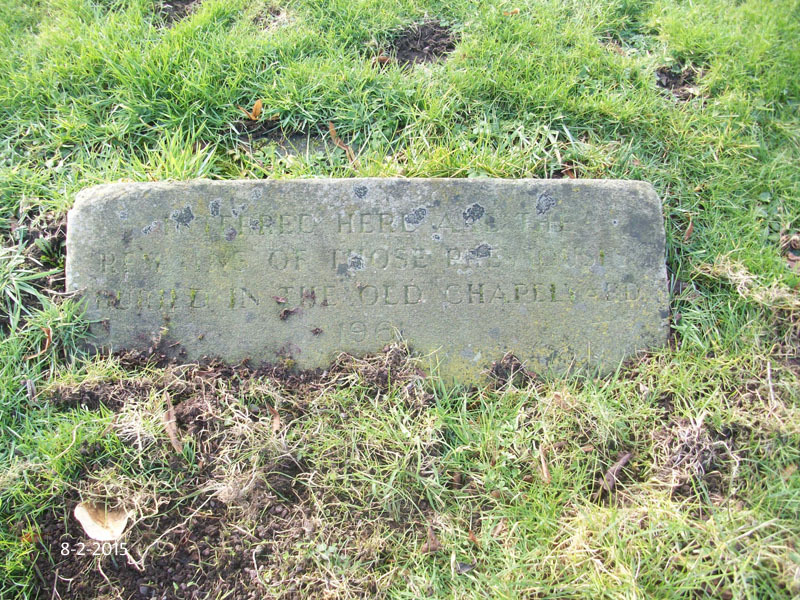 This is to certify that the remains of the following deceased persons were removed during the period May 15th to 19th 1961 from the Hadnall Congregational Chapel Graveyard and reburied on May 19th and 20th 1961 in the Hadnall Parish Churchyard. 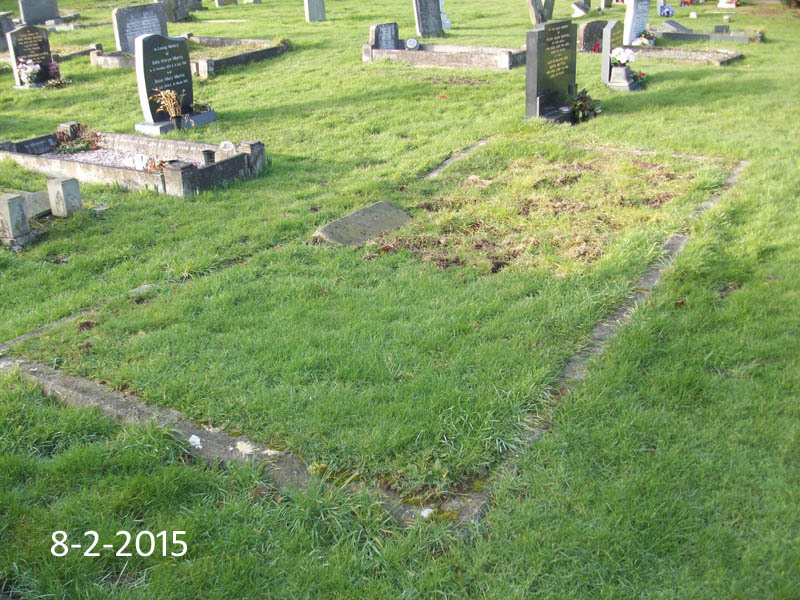 The burial service was conducted on May 21st 1961 by me. 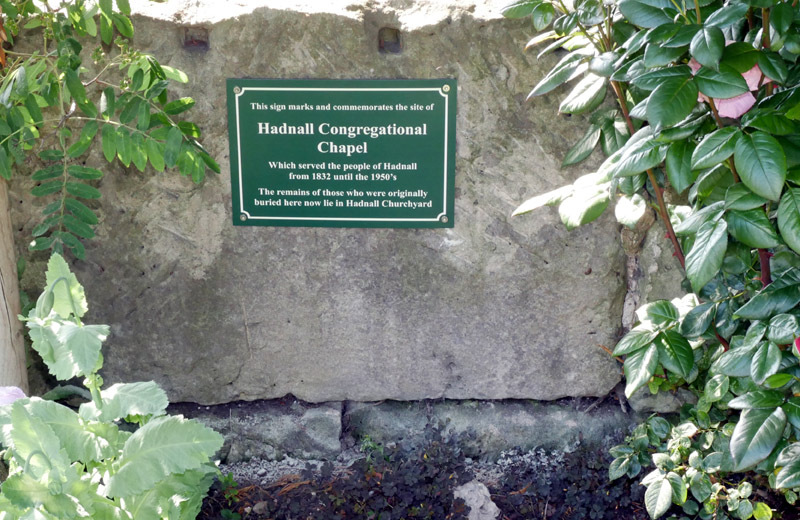 June 2018 - Hadnall History Group has erected a plaque to commemorate the site of the Chapel. 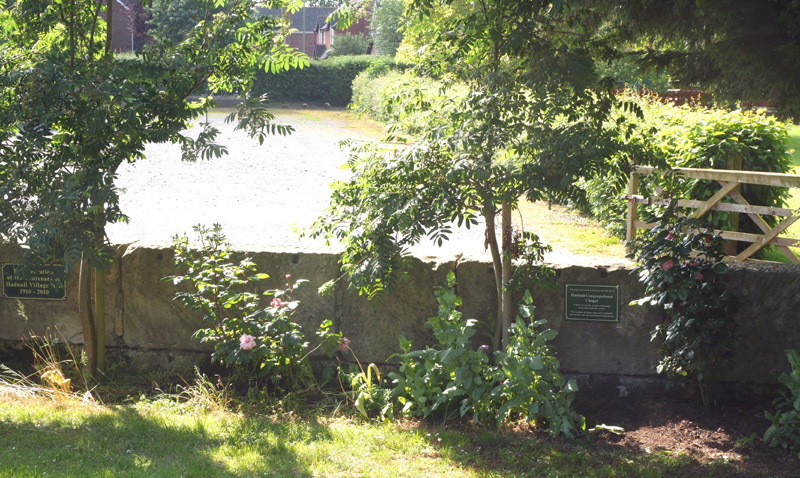 The wall on which the plaque is fixed are stones that once formed part of the Chapel. The Chapel stood in front of the wall and possibly also beyond the wall too. The blocks are Grinshill sandstone and came from the quarry only about 4 miles away.